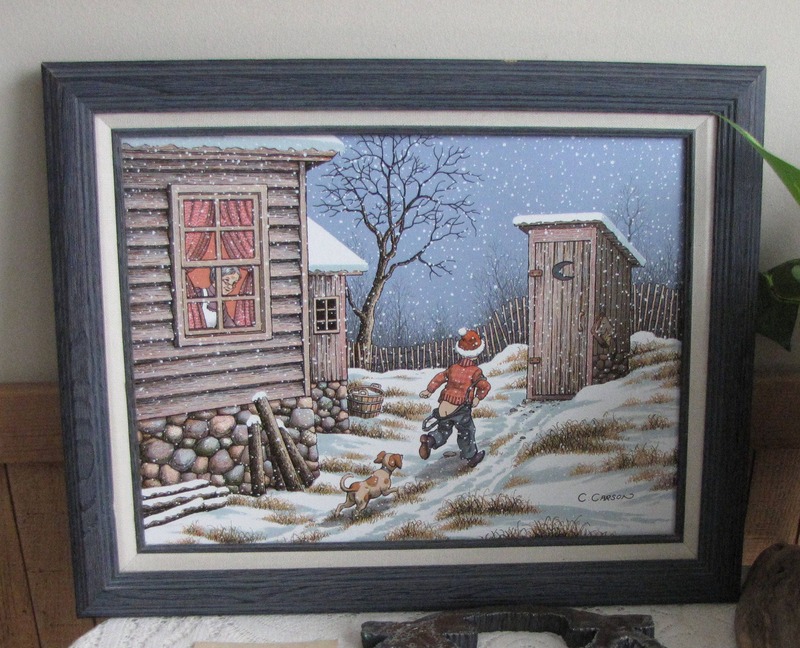 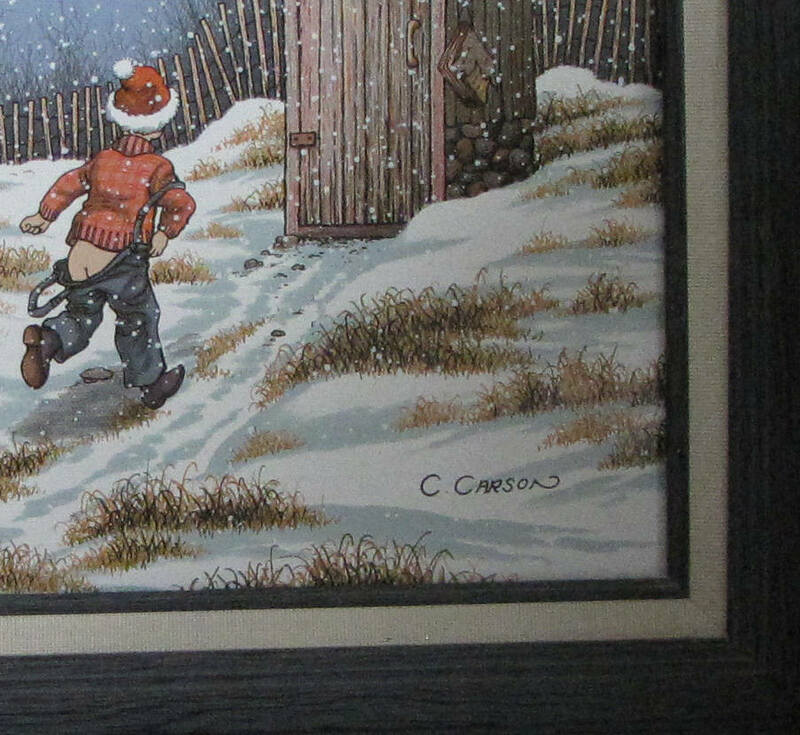 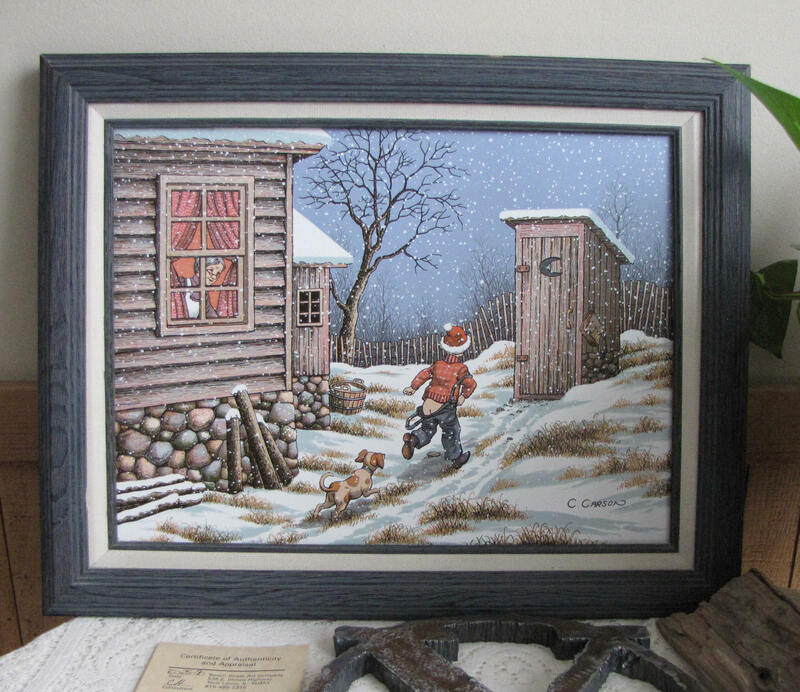 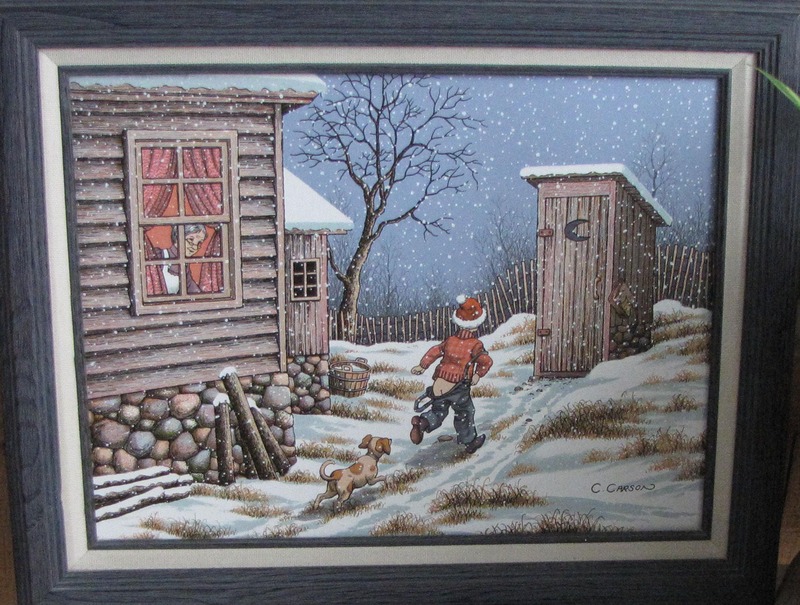 A winter scene with a boy and his dog heading to the outhouse. 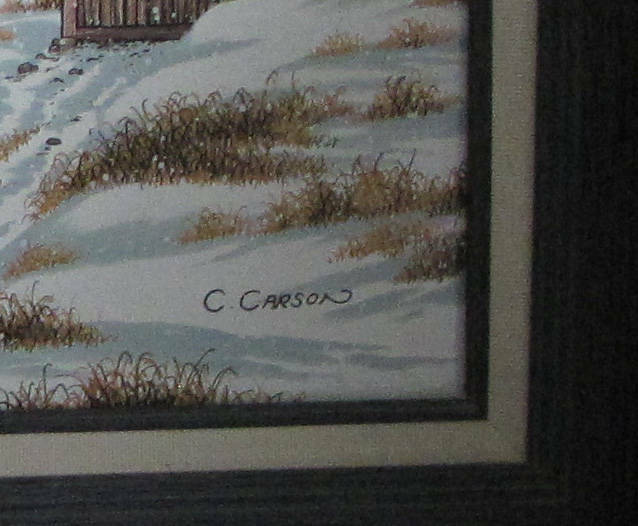 C. Carson is a Korean painter who lived in Roselle, IL (so a local artist). 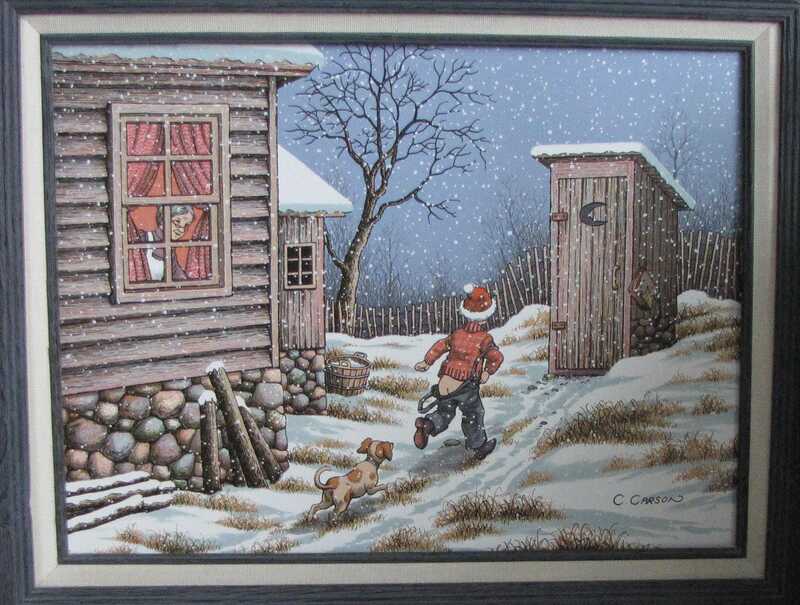 His Americana paintings were produced from the 1980s to the early 1990s. 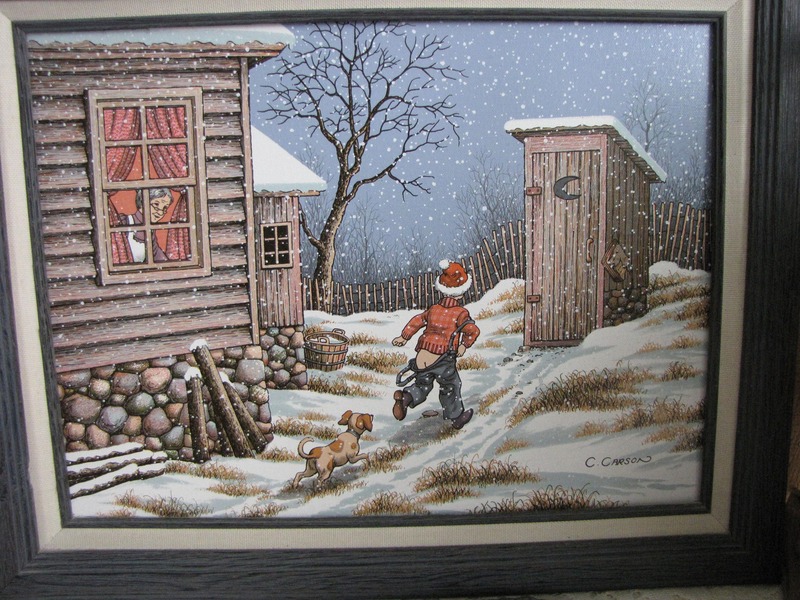 The painting was originally purchased from the Beech Street Art Company in New Lenox, IL. 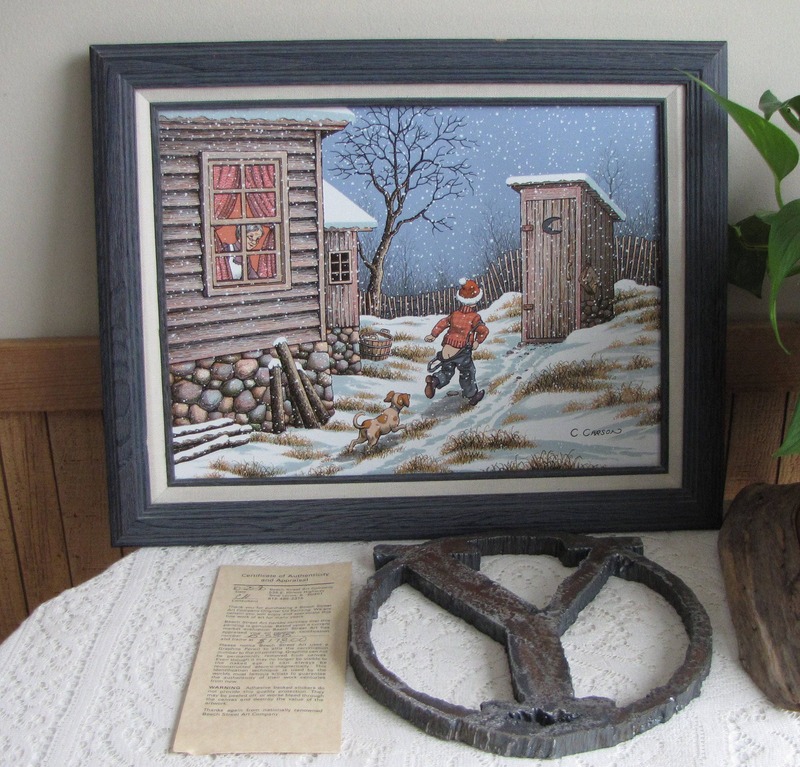 The date sold was October 25, 1990 with a value of $178.00. 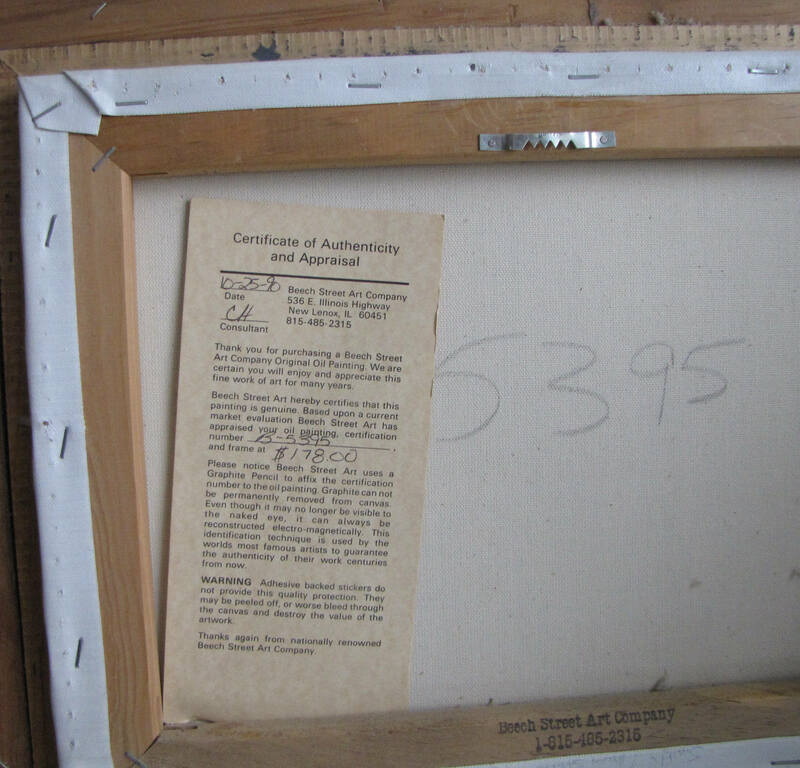 The certificate of authenticity and Appraisal is included with the painting. 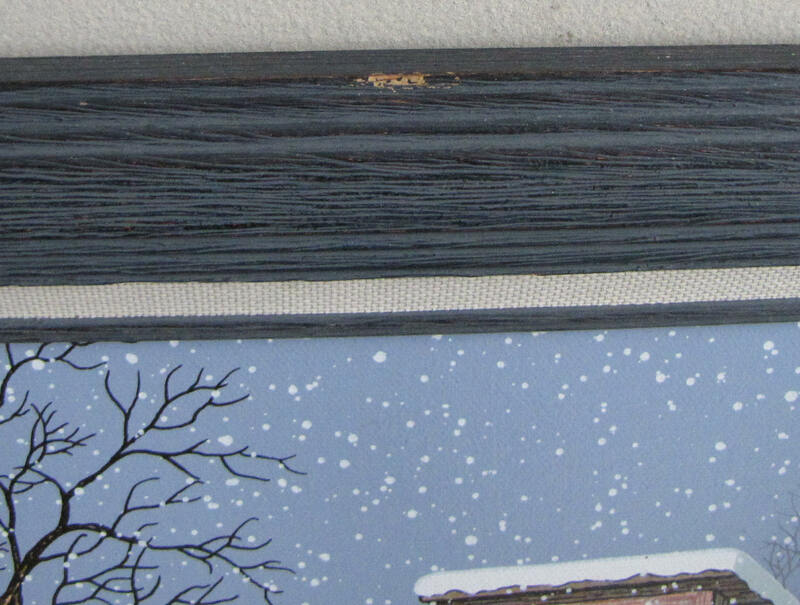 The painting, in its frame measures 19.5 x 16 and the wood frame is painted blue.